The Southern Maryland Blue Crabs have announced the signing of catcher, Charlie Valerio, for the 2019 season. This Dominican Republic native was signed by the Indians as a non-drafted free agent out of the Dominican Republic in 2010 and has batted a career .270 with 116 doubles, ten triples, 54 home runs, 293 RBIs and 279 runs scored in 587 games. 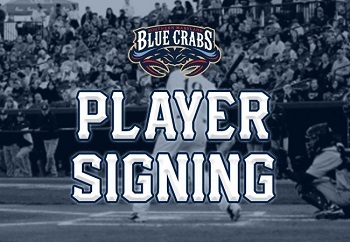 Valerio enters his first season with the Southern Maryland Blue Crabs after spending three years in the American Association playing for the Fargo-Moorhead Redhawks. He joined the Redhawks in 2015 after splitting his time in 2014 between the Carolina Mudcats and Akron Aeros in the Cleveland Indians organization. Valerio makes his way to Southern Maryland after a successful year with the Redhawks, with 344 plate appearances in 82 games with 12 homeruns and 46 RBIs on the season.